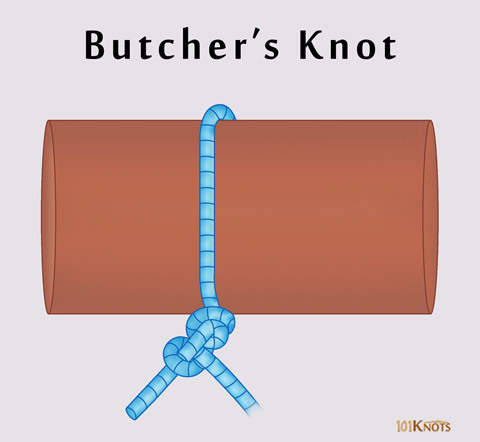 The butcher’s knot is mainly used to prepare meat for roasting. However, it also has applications in tying the first loop around a package or parcel. It is best tied with twine material and generally at one-inch intervals around a roast. It can also be tied with cords and strings. It is easily adjustable meaning you don’t need to use your hand to hold it in place while tightening. 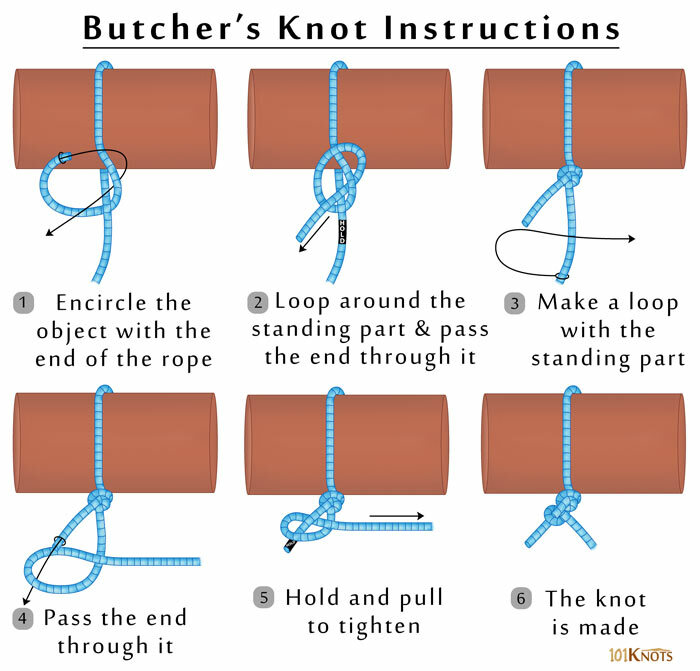 Note that the knot formed by steps 1 and 2 is an overhand knot. It prevents the knot from slipping undone when it has not been cinched down properly and is free to move. Though it is sufficiently secure for its intended purpose, it is not the best option when more reliability is needed. When it is used for packages, for example, it needs to be backed up with more half hitches and half knots. Tying roasts or other types of meat for pickling, marinating or cooking.